Cakebread Cellars' Napa Valley Chardonnay is light straw in color with a glint of gold. Its aromas are reminiscent of green apples and the faint scent of apricots with a clean scent of mineral suggestive of flint. These impressions are repeated on the palate with a very slight buttery finish and a subtle hint of French oak vanillin in the background. 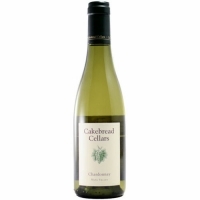 Good depth with an ideal balance of fruit and crisp acidity lead into a fresh, silky finish.